Tinto de verano means something like “Summer red wine” in Spanish and it is a very popular drink. Unlike other products like Spanish Serrano ham and paella, this drink is still relatively unknown in the Netherlands. I discovered it by accident in Madrid when I wanted to try something new of the map. This is not always a success, but this has since been be a favorite with me and my friends. The drinking delicious road on a hot day and does well on bbq’s and parties. It’s super easy to make in large quantities. Put a carafe down on the table and people are going to try it themselves. I can promise you that they will ask for the recipe. The preparation is super simple. Mix as equal parts red wine with 7-up. Stir well. 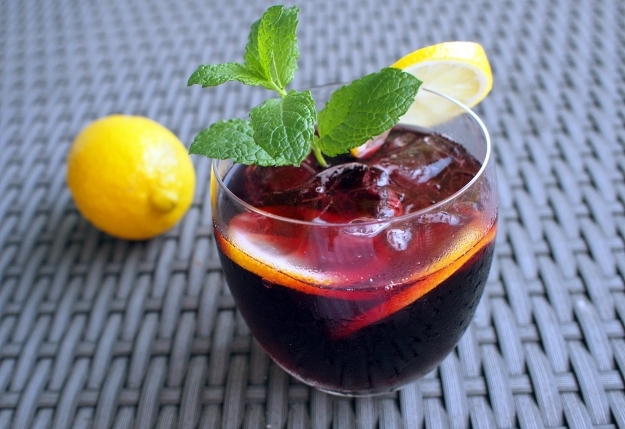 Fill a glass with lots of ice cubes and slices of lemon and at your tinto de verano. That’s it, super simple right? If you have some real novice red wine drinkers, you can also go for 1/3 red wine 2/3 7-up. If you do not love so sweet, you can replace up to 7 ferrier or sparkling water with some extra lemon juice.